As I drove the car, my 6 yr old daughter sat in the back seat, talking constantly.... I am guilty of occasionally zoning out, while dishing out automatic responses to her questions. On this particular day I heard her say..."Mum... what if we were driving in our car & we looked over and saw a man with a coconut for a head. 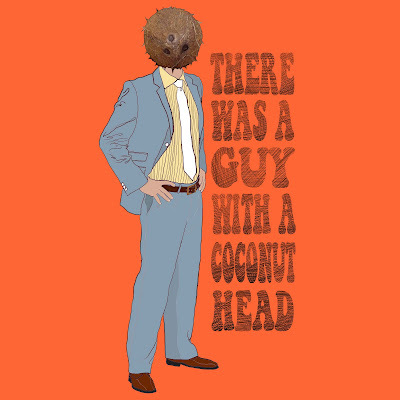 And he was driving a coconut car. But don't worry, its just a story." Her zany, little story triggered the creative juices & I asked her to repeat what she said... "Ummm,... There was a guy back there with a coconut head!" I laughed. She laughed. She had a look of pride and satisfaction on her face...her little story had made us all laugh. 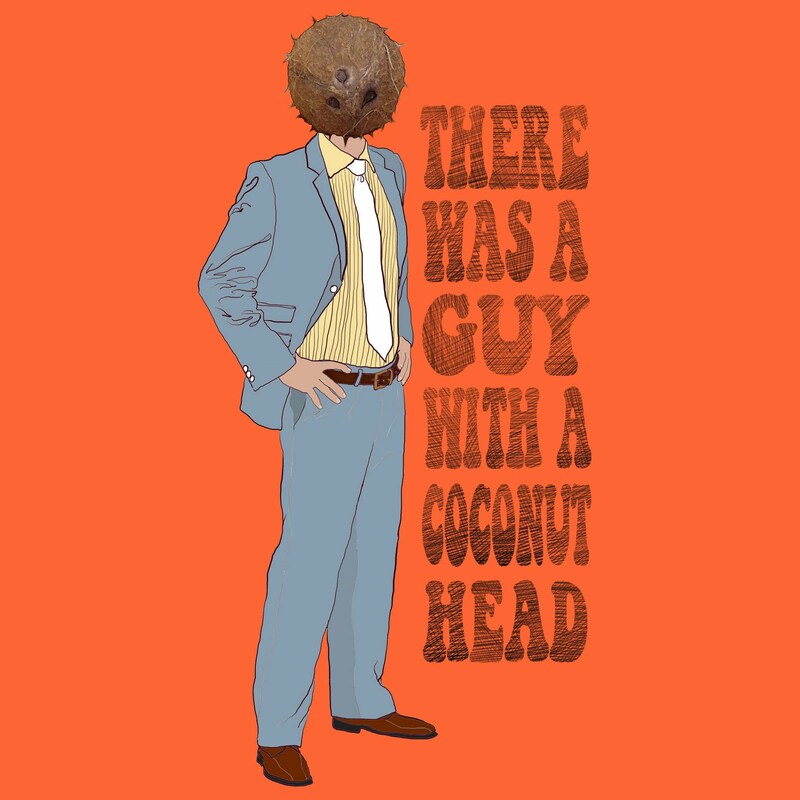 "There was a guy with a coconut head"
There was nothing else for me to do but to create a tshirt design of Mr Coconut Head. He still makes me smile.